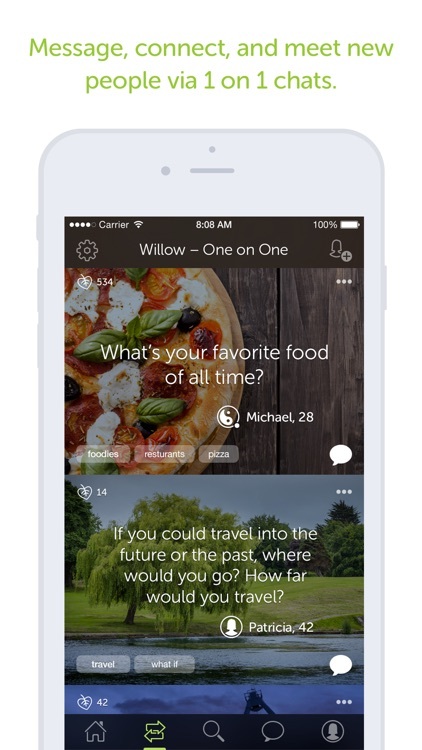 Willow connects people to communities, individuals, and the world through open, honest, interesting conversation. Start conversations, make new connections, and build communities around topics that interest you. 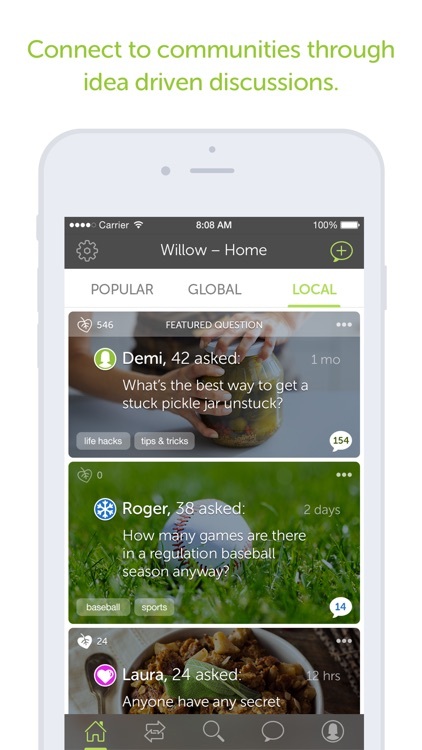 Whether you’re looking to talk about ideas, seeking advice, seeing what people think about the latest news, searching for a community that shares your interests, needing to share something you can't tell anyone else, or looking for a fun way to connect with new and different people, the Willow community welcomes you. 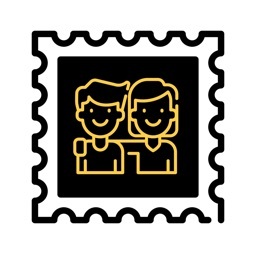 We hope to make the world a smaller, more empathetic, connected place - one conversation at a time. 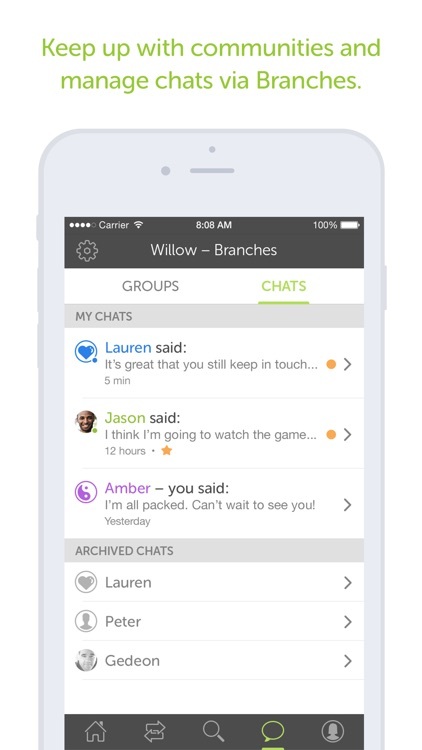 • Beautiful, intuitive design makes Willow easy to use. 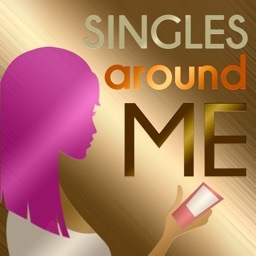 • Participate in group discussions or chat one on one. 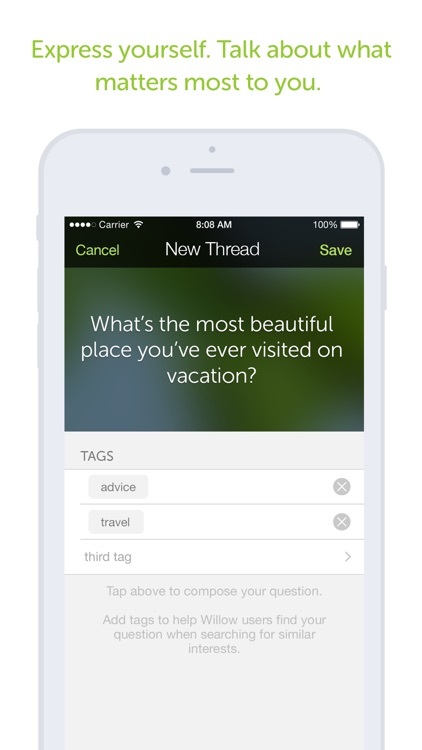 • Filter and create conversations both globally and locally. • Filter conversations by most recent or most popular posts. • Tag your threads to allow others with similar interests to respond and connect. 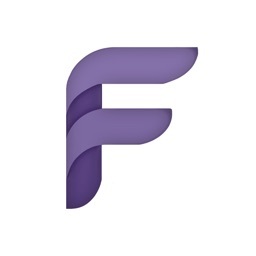 • Customize conversation backgrounds by choosing from over 500,000 images. • For one on one chats, control attributes of people you want chat with by setting age ranges, gender and distance. • Choose and customize your own avatar. • Your information, your control - be as anonymous or not as you're comfortable with. 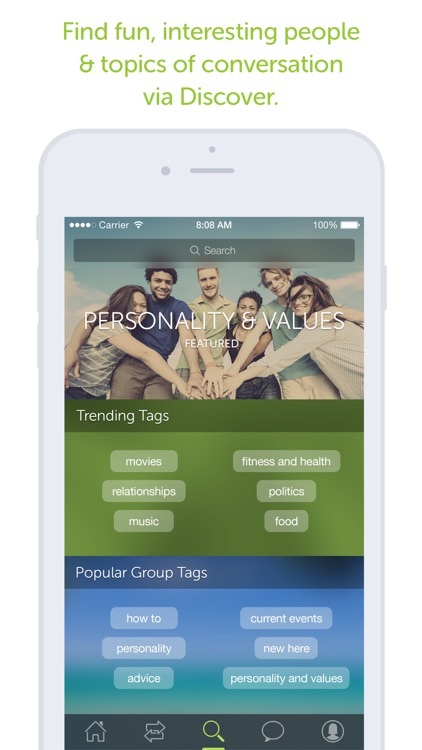 • Customize your profile with traits, interests, a bio, photos and more. • URLs and emoji can be included in responses. 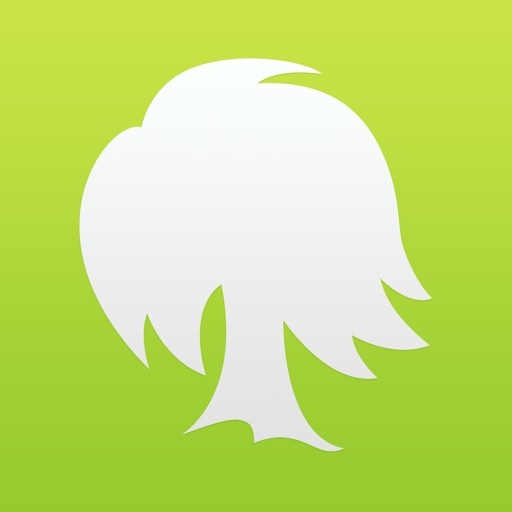 • View, manage, and organize all of your group and one on one conversations in the branches view. • Sign up for Willow via Facebook or SMS. 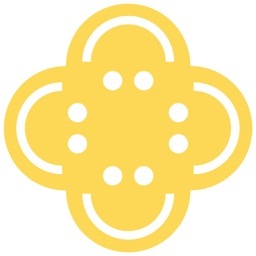 • Mutually share photos with a person you’re one on one chatting with if you choose. 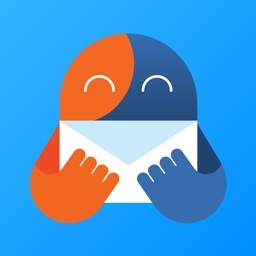 • Let people know you like their conversations or answers using the like button. • Strict privacy controls - easily block and report users who violate our community guidelines. • Help keep the Willow community safe and orderly by flagging and reporting trolls or content that violates our community guidelines.